Riders relish the freedom and fun of riding their motorcycles, and the majority of them follow solid safety and responsibility practices while out on the road. Unfortunately, that does not change the fact that motorcycles are inherently more dangerous than normal passenger cars. Even the most careful riders are at risk when those with whom they share the road fail to follow proper safety precautions. Motorcycle accidents often happen when the drivers of other vehicles fail to pay attention while maneuvering their car or truck. It feels like the collision happens with little or no warning and liability is not always immediately apparent. 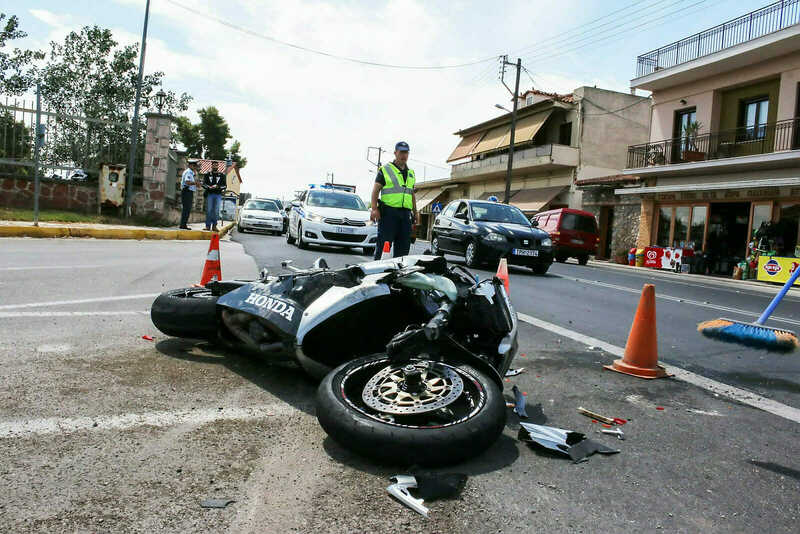 Consequently, when a motorcycle is involved, it is common for the rider to be blamed for being “reckless.” However, more often than not, this is not the case. Because of the smaller vehicle size and the risks involved with riding, motorcyclists do have certain responsibilities. Most take these responsibilities very seriously. After all, they only have a couple of layers of clothing for protection should they hit the pavement. Unfortunately, those who drive passenger cars and other larger vehicles do not always do the same. The steps taken after a motorcycle accident can have a large impact on how the case turns out in court. Therefore, it is important to keep a few things in mind. First and foremost, in the immediate aftermath, the safety of everyone involved should be top priority. If there are injuries, call for police and medical assistance and move everyone out of harm’s way when possible. If no one is hurt, call the police anyway, and do not let another driver try to exclude their involvement. Their presence is important for documenting the scene as it is found and taking witness statements should the case go to court. Additionally, write down the insurance, contact, and vehicle information from everyone involved. Take pictures of the damage and notes of everything that is said and everything that happens. One of the most important things to remember immediately following an accident is to remain calm. This can be difficult, but panicking or getting angry may ultimately make matters worse. Additionally, the rider could accidentally say something that can be used to pin the blame on him even if he was not responsible for the accident. Try not to get into any arguments or physical altercations with other drivers or passengers, and do not intentionally cause additional damage to property. Should a motorcyclist receive a call from the other driver’s insurance company at some point after the incident, it is important not to talk to them. Insurance adjusters are trained to trip up the other party. They want the rider to say something that could be used against him and allow the company to pay out as little as possible in damages. Until the damage to the bike has been recorded, do not hurry to make any repairs. The rider may be entitled to financial compensation for such damages. Keep a detailed record of any expenses that come about as a result of the accident, such as doctor visits, rental charges, repairs to the motorcycle, and time missed from work. Claims involving minor accidents with minimal repairs often resolve quickly and without much trouble. Such cases typically are not taken to a courtroom. However, if damages total several hundred dollars or there has been a serious injury or death as a result of the collision, the process can drag on for a long time and become very stressful. In these types of situations, it is important to speak to a competent attorney who specializes in motorcycle accidents. This individual will be well versed in both local and state laws, especially the personal injury laws that are relevant to the case. Due to limited physical protections, a motorcyclist can be hurt in any number of ways. The most common injuries include broken or fractured bones, amputation, back and neck injuries, skull fractures, paralysis, traumatic brain injury, and damage to the spinal cord. While accidents are frequently caused by the negligence of other motorists, other causes do exist – bad weather conditions, poor road maintenance, and improperly or poorly posted road signs, to name a few. The attorney will be able to determine who is responsible for the accident and present the case to the court on behalf of the rider. McWhirter, Bellinger and Associates, P.A., handles hundreds of automobile and motorcycle wreck cases every year. Please call us anytime to find out what we can do for you.